And we’re back with the second ever installment of SLP Trivia Fun. Episode number 2 can be listened to right HERE and, fair warning, it’s a real knee-slapper of a good time because we have one of my bestest friends ever on the show, Yvette Mccoy from Maryland. She has been an SLP in an outpatient setting for 23 years, and she specializes in swallowing, which is an aspect of the field that I know very VERY little about. Yvette is one smart cookie and I know you’re gonna learn a ton from her on this episode. Swallow stuff and brain stuff! The theme of this episode revolved around swallowing stuff and brain stuff. We chatted a bit about dysphagia and aphasia. I also challenged her with some random sports trivia because ya never know what you’re going to get with this podcast. Am I right?! Do you know the name of the doctor who made huge discoveries in the Broca’s area of the brain? I don’t know. Listen to this first episode and you’ll find out. Do you know the name of the doctor who made huge discoveries in the Wernicke’s area of the brain? Are you a Grey’s Anatomy fan? Well, in this episode Yvette talked about how the creators of that show sometimes drop the ball, with regard to having SLPs represented on the show. And we daydreamed about the show that WE would make. Hollywood, here we come! Big thanks to Yvette for being the second ever SLP Trivia Fun contestant. She’s a real champion SLP and I’m lucky to be besties with her. P.S. 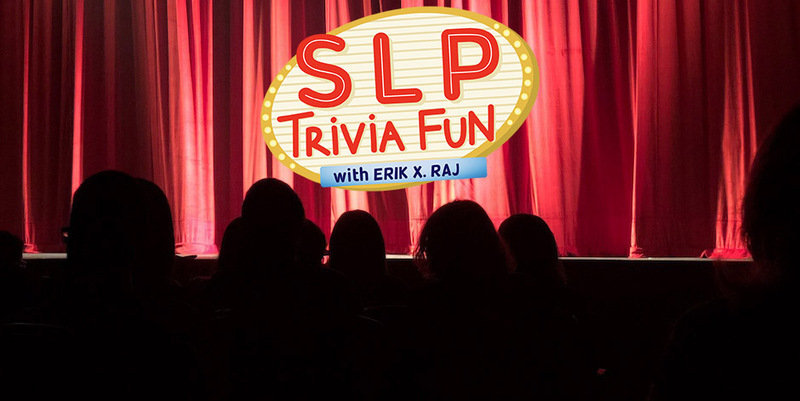 If you’re enjoying SLP Trivia Fun so far, please do me a solid and leave a review/rating. If you use an iPhone, you can easily do that right from there. All you have to do is open Apple’s Podcast app and then tap the ‘Search’ tab. Enter the name “SLP Trivia Fun” and tap the blue ‘Search’ key at the bottom right. Tap the SLP Trivia Fun logo and then the ‘Reviews’ tab. Tap ‘Write a Review’ at the bottom, add some stars, and type a review. It’s that easy, buddy. Thanks! The very first episode of SLP Trivia Fun is now live and you can go HERE to check it out. With this podcast, there’s only one rule, and that one rule is that every contestant on SLP Trivia Fun has to be an SLP. The format of the game show is simple, one person from the “audience” is “randomly” picked and asked 5 trivia questions which will have a specific theme related to the field of speech-language pathology. If the contestant gets all of the questions correct, that person wins a cool prize! Who doesn’t like prizes, ya’ll? Let’s say hello to Katie Millican. Let the history books show that the lovely Katie Millican was the first ever contestant on SLP Trivia Fun. She’s a dear friend of mine from Alaska. Katie has been working in a private practice for 2 months now which is a new environment for her since she’s been an SLP in a school-setting for about 5 years. She’s so good at what she does and her private practice is lucky to have her. In general, Katie is a star and she totally shines in this episode. We talked about bald eagles sweeping up chickens. We talked about llamas (which, I’m told, are not native to Alaska). And we even talked a bit about dinosaurs (did they have dinosaurs in Alaska at one time?). I could chat with Katie all day. She’s grand. When was the ice cream cone invented? When was the first journal article about autism published? Did you know that there was one year where the ASHA convention was actually NOT in America? Huge thanks to Katie for being on this first episode of SLP Trivia Fun. And if you enjoyed this podcast, please do reach out to me and let me know. It would mean a ton to me if you did that. Thanks! I’ve talked about comfort zones before. We all know this, but it’s worth repeating, stepping out of your comfort zone is the best thing you can ever do. And this whole “I’m making a podcast” thing is a terrific example for me to point to that proves I’m not afraid to practice what I preach. But guys, it’s scary. Like, REALLY scary! We crave a sense of familiarity, security, and certainty. We hardly ever want to open ourselves to the possibility of risks, stress, and anxiety. We hardly ever want to be thrown into uncertainty. I have a real fear of failure and the unknown. What if no one ever listens to SLP Trivia Fun? What if they do and they ALL hate it? This is stuff my brain keeps asking me. When we were children, we took more risks. But as adults we learned to fear failure; we learned to pull ourselves back by attempting fewer new things. By wanting to keep our body and mind in a “safe” place, we’d prefer to remain in our small bubble. Well, I’m stepping out of my small bubble, ya’ll! SLP Trivia Fun is coming along and it’s right on track for a November 2017 release. I’m teaching myself how to edit audio on a brand new software. I’m teaching myself how to create random sound effects with a bunch of crazy cool microphones I purchased. I’m teaching myself how to not cringe when I hear the sound of my own voice (LOL!). I’m teaching myself a ton and I’m very uncomfortable, but it’s that lack of comfort that’s helping me to grow. A catalyst for growth itself is discomfort. For one to change and adapt (and grow! ), one needs to yearn and labor for something more. The transition will be uncomfortable and scary, but it’s also a rite of passage. Draw new possibly in every task and you might just get surprised by what you find. I’m surprising myself every single day with this podcast. It’s a humbling experience that I’m happy I’m trying. I’m happy I’m growing. I want you to push yourself just like I am. Are you avoiding something because, at this point in time, it seems too hard or impossible (or freakin’ scary)? Well, you’d best reconsider avoiding, babe. That very thing you’re avoiding now might be your key to success in the future. In any capacity whatsoever, be deliberate when trying to push your limits — look at those fresh challenges that seem above you and take a jab at ’em. Fortunately, the human mind tends to rise to the occasion when we challenge ourselves. If you learn to get comfortable with the discomfort of growth, you can master pretty much anything in this world. Looking beyond the pain of today can be the joyful key that opens up that door of progress. So, what are you waiting for?! I’m launching SLP Trivia Fun in a few weeks and this whole podcast thing has totally thrown me way past my comfort zone. What are exploring right now that’s throwing YOU out of YOUR comfort zone? Trust me, it’s worth it. Keep going. A long time ago I wrote a blog post titled A Speech-Language Pathologist Wears Many Hats. In that bit of writing, I mentioned how us SLPs are a rare breed and how, in order to be a great clinician, one must wear many hats. And I went on to mention how one of the hats that all SLPs have to wear, at some point in the day, is that of a game show host. 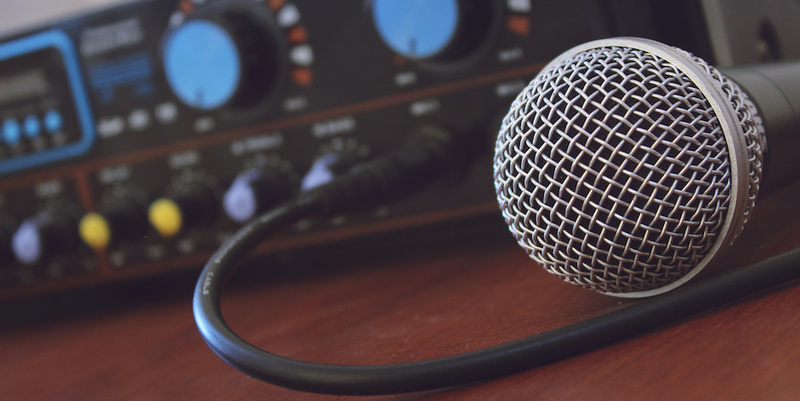 Game show hosts and SLPs have more in common than you think. Doesn’t that sound exactly like what a clinician does, on a daily basis? Clinicians have the ability to make or break a therapy session by controlling the experience of each client. The clinician controls the therapy session’s rules, pacing, and so much more. So in short, a clinician can make or break the therapy session in the same way that a game show host can make or break the game. 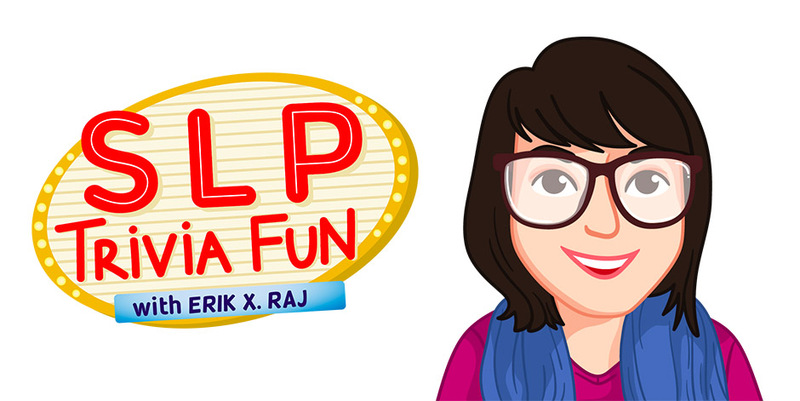 How about a game show for SLPs? Remember how I told you about how I was officially starting a podcast? Well, here’s my crazy idea: it’s going to be a game show podcast where each and every contestant is an SLP that must answer SLP-related questions. And I’M going to be the game show host that sets the stage for this speechie experience. I figured I’d make a pretty decent game show host because, as an SLP, I’ve already been wearing the game show host hat for a while. 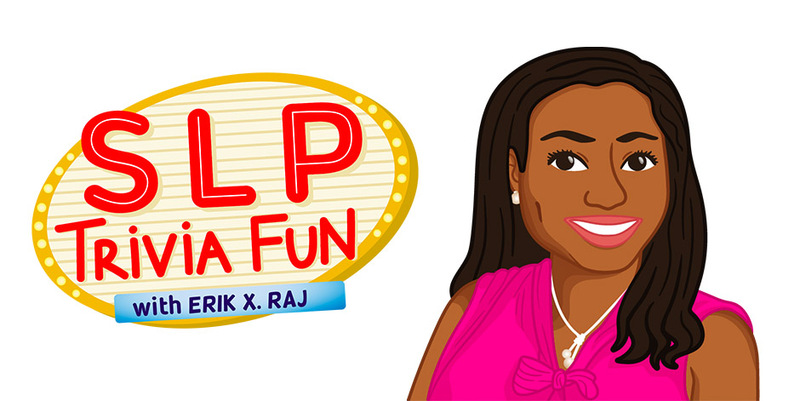 So why not double down on the whole game show thing and actually create a game show podcast for SLPs?! HAHA! Is anyone a fan of trivia? I’ve always been a fan of trivia games. When I lived in Detroit from 2011 through 2015, I was a member of a bar trivia team (hi there, Quizzo Detroit!). By no means am I the brightest crayon in the crayon box, but there were a few times where I was the only one in the whole place that knew the answer to the trivia question. And in those rare instances, oh boy, it was a complete jolt of happiness that filled my heart. Hooray for random pop culture knowledge! My team went on to win a few championships and all of that really cemented my love for the trivia experience. I haven’t played trivia in a while. I don’t know, it just seems like where I live now here in New Jersey, trivia isn’t nearly as popular as it was over in Detroit. So with that being said, it’s been FOREVER since I’ve had some trivia fun. So how about this . . . how about I start to have some SLP Trivia Fun to fill that lil’ trivia hole in my lil’ heart?! Yes! SLP Trivia Fun! You’ve heard it here first, people. That’s officially the name of the podcast that I’m creating. SLP Trivia Fun will be awesome-sauce. The website is still very much a work in progress, but you can check it out right HERE. In the coming weeks, I’ll have some more information on it. Until then, start studying up on your random SLP facts because you just might be a contestant on an episode of SLP Trivia Fun.